You’re Going to Need a Shovel! I love instrumental music! There’s something about being able to create your own sound and words. Singing to instrumental worship music is absolutely freeing to me. I was in a rehearsal or a service a while back and I remember being frustrated because I could not worship freely through song at home. I began to wonder why, and I heard “The sound you want, you have to create.” A few months ago I made an investment. I decided that I wasn’t going to sit on any more of the gifts that i have, and that I was going to perfect what had been given to me to encourage, minister to, and build up others as I am led to do so. 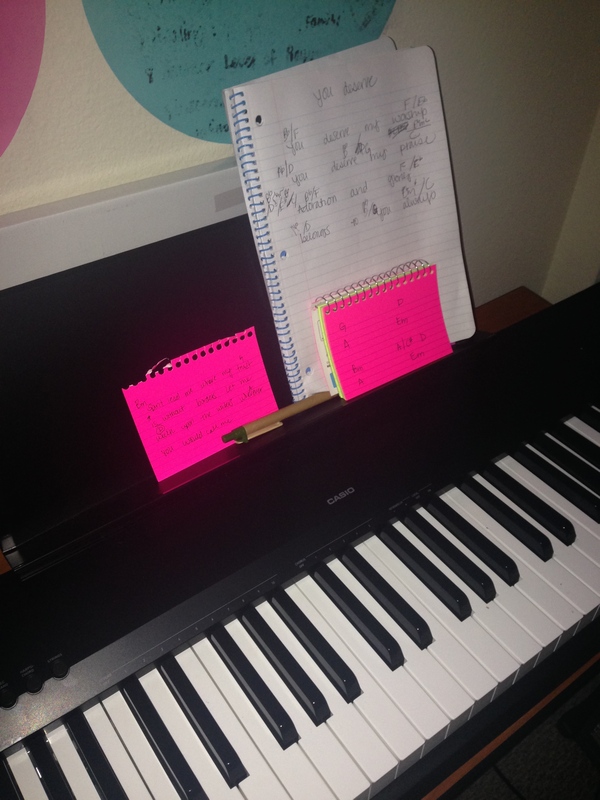 I learned a song in like five minutes today (by looking up the chords) and I started to play, and it took me back to that moment when I heard “the sound you want you have to create.” I started to sing and it was an amazing feeling as I was able to freely worship through song and playing keys for the first time in a very long time! It reminded me of Matthew 25:14-28. So let me be transparent: I buried the gift of playing piano because I didn’t feel “good enough,” I was too lazy to perfect the gift, I compared myself to others, the list goes on and on really. I’ve been playing the piano since I was 4 years old. Besides writing that’s the only thing that I had been perfecting since childhood. However, somewhere along the way I gave it up, never losing the ability but burying it thinking that it wouldn’t be useful or necessary to myself or anyone else. I didn’t know that years later, I would need that very gift for MYSELF. Ouch…That hurt! It’s time to dig up what you’ve buried so that you can honor God, and serve others. What God has given to you, he’s given to you based on your abilities. That means that you CAN do it! Comparing yourself to others, laziness or whatever is stopping you cannot be used as an excuse. So get your shovel, dig up what you think you have buried and use it! Today I said to The Lord, “I’m gonna start singing more.” Unburying my gift starts now. Good one, Brit. Thanks for reading, and good!!! Using my gifts that I had tucked away has been so beneficial for me and others. Im sure the same will be true for you.